This is a reference page for your information to know where to dispose off your toxic waste properly. Please DO NOT contact PIC-CONTROL for waste disposal matter. We do not provide waste disposal or consultation service. The electronic product contains toxic which pollute our environment and can cause a health issue. 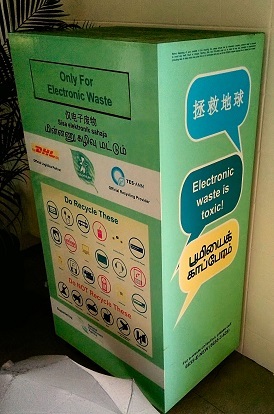 It is important to dispose of the electronic waste properly to protect our environment in Singapore. Battery especially, contain leads content. Places in Singapore which you can dispose of your electronic waste. There are many recycle bins scatter all across the island of Singapore. Check out this map for the location to recycle your E-waste nearest to your location. In most Schools, Polytechnic, University in Singapore. Certain outlets at Singapore Post Office, SingTel, Starhub. Map from Starhub for recycling of electronic waste. Click here to find out the nearest recycle bin available near your specific location. 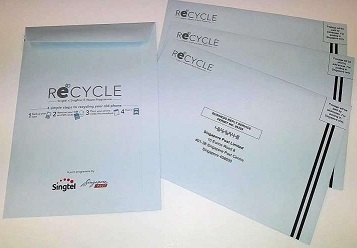 You can also collect free envelopes from SingPost and Singtel to mail your electronic waste for free. Everyone doing their part to protect our environment. For bulk disposal of toxic waste, you can engage local professional companies to help you with the disposal. Check out this list of authorised industrial toxic waste collectors in Singapore (This list is provided by NEA). Be sure to dispose of the toxic waste with care. Protect our environment, protect our home.